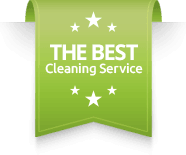 Kulas Maids Inc. is the leading cleaning service in Bannockburn, Illinois 60015. Our experienced maids make sure to clean every detail of your home, letting you take pleasure in the things that you enjoy doing. Our family owned and operated business looks forward to being your number one cleaning service in Bannockburn. If you are tired of cleaning your Bannockburn home by yourself after a long day at work, let Kulas Maids Inc., a house cleaning service in Bannockburn, do the job for you. We provide Green Seal Certified cleaning supplies and our vacuums are equipped with HEPA filters to assure you that we will leave your home spotless! For more information about our green cleaning products, click on the ‘Green Cleaning’ tab above or check out our new video on our Home Page. Kulas Maids Inc. prides itself in being a 100% guaranteed satisfaction maid service in Bannockburn, Illinois. Kulas Maids Inc. is a reputable maid service because of our customer satisfaction and highly trained maids. Our teams of 4 maids are incomparable to any other maid service in the area due to our swift and efficient way of cleaning. Simply, we are the best maid service in Bannockburn!